Like many of the top hairdressers, Scott knows exactly what he wants from the hair and styling products he uses. So much so that Scott has created his very own ‘signature’ range, which will help you achieve the same results at home. Scott’s signature collection has been developed for you to buy and for other businesses to use in their own salons. 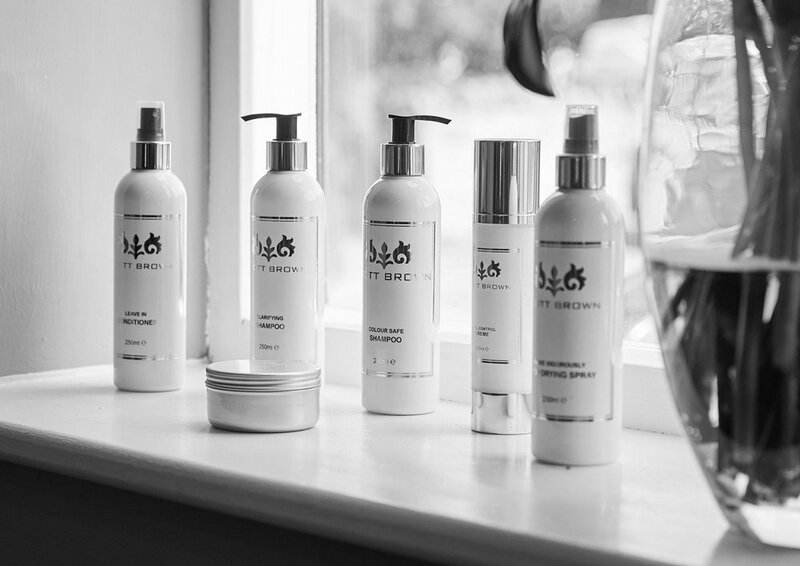 In fact, Scott’s range is already proving a big success, with quite a few prestigious health clubs and spas using his ladies and men’s hair and grooming products. Part of Scott’s whole philosophy around his product range is that he firmly believes in quality over quantity, and thinks that you only need a specially selected range of top quality products to keep your hair in tiptop condition and looking stunning. So, when he sat down to develop his signature range, his aim was to produce a small, compact range that everyone can understand and use. The Scott Brown signature ranges are just that and they produce amazing results. All of these products are available to purchase in the salon and online now. Gift sets, seasonable products and gift vouchers too. Interested in stocking Scott Brown Hair products? Contact Scott today.